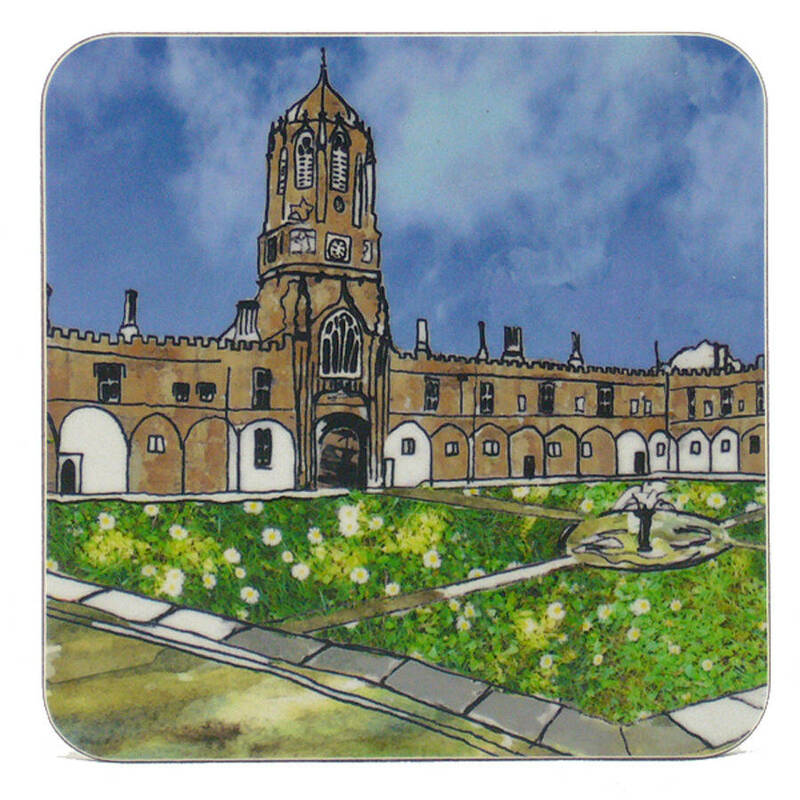 Oxford melamine coaster featuring Emmeline Simpson's illustration 'Christ Church Quad'. This Oxford melamine coaster is the perfect addition to your coffee or dinner table! 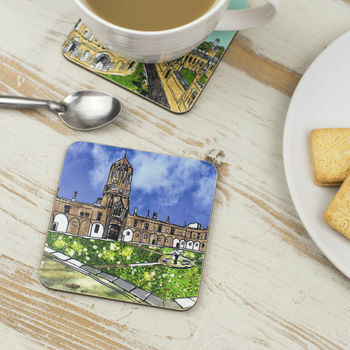 A single mat could be used for your cup of coffee, or alternatively combine with 5 other designs for a stylish set of six Oxford coasters celebrating this wonderful city. Emmeline Simpson coasters and place mats are produced in the UK and are extremely hard wearing with a melamine finish which is resistant to stains and heat up to 150 degrees c. An ideal gift for Christmas, or perhaps as part of a set it would be great for a wedding present for those with an Oxford connection. This product is dispatched to you by Emmeline Simpson.